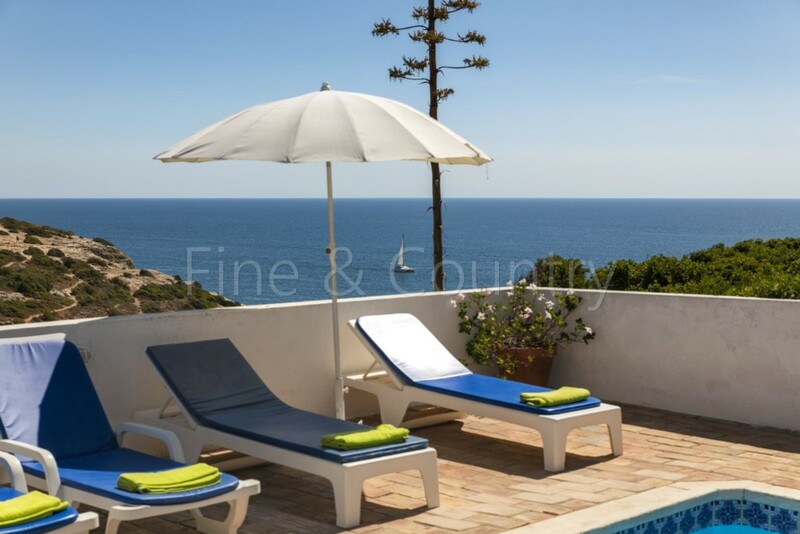 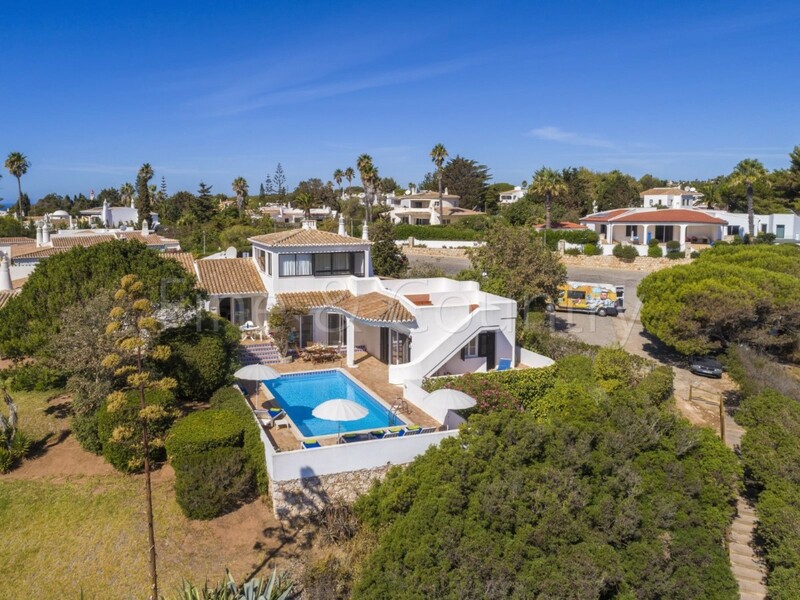 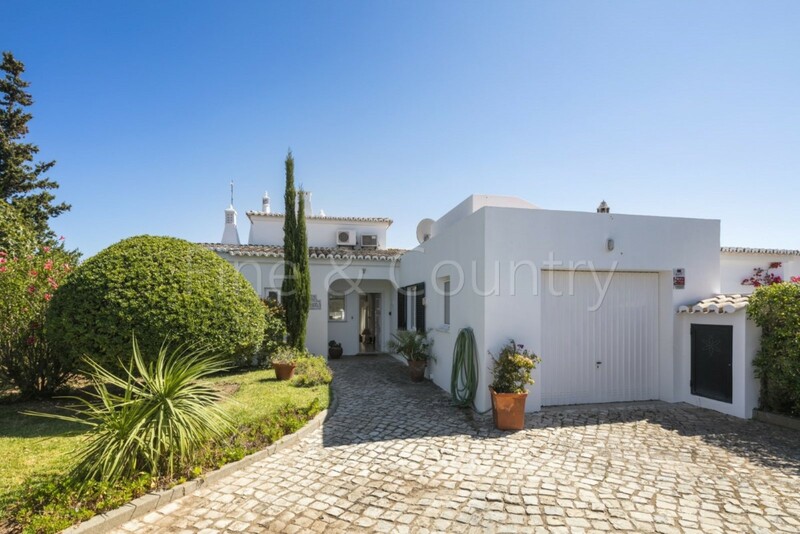 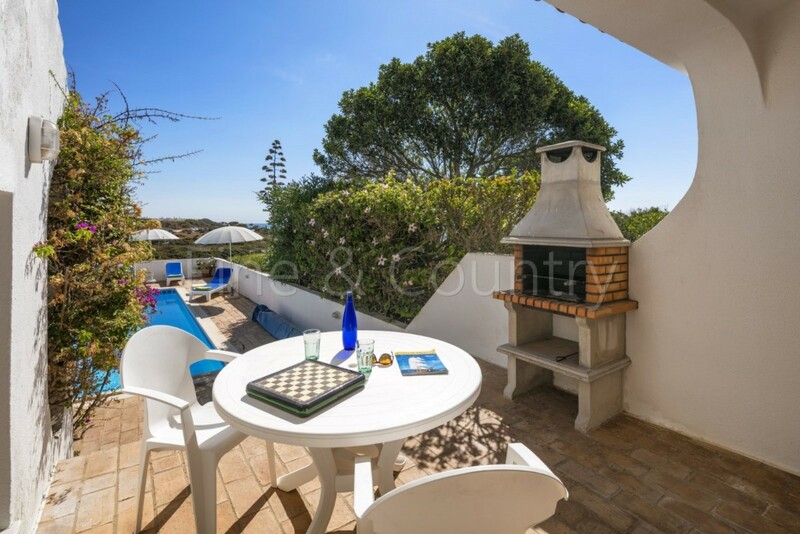 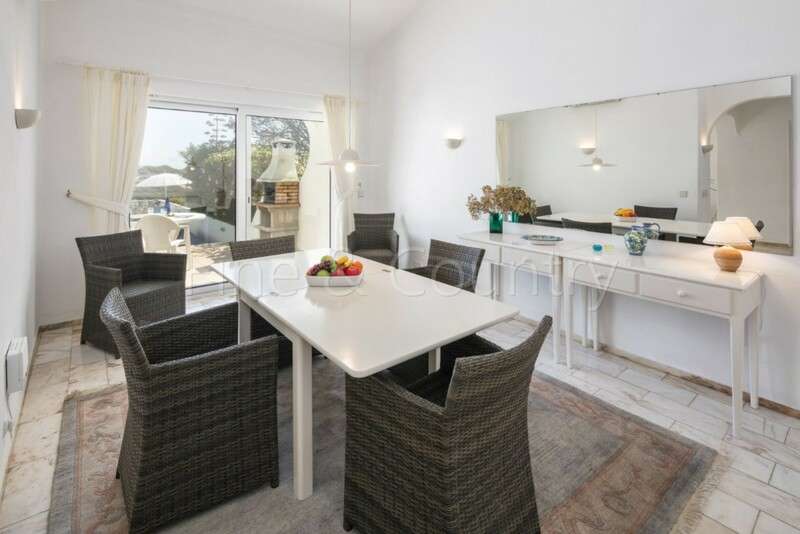 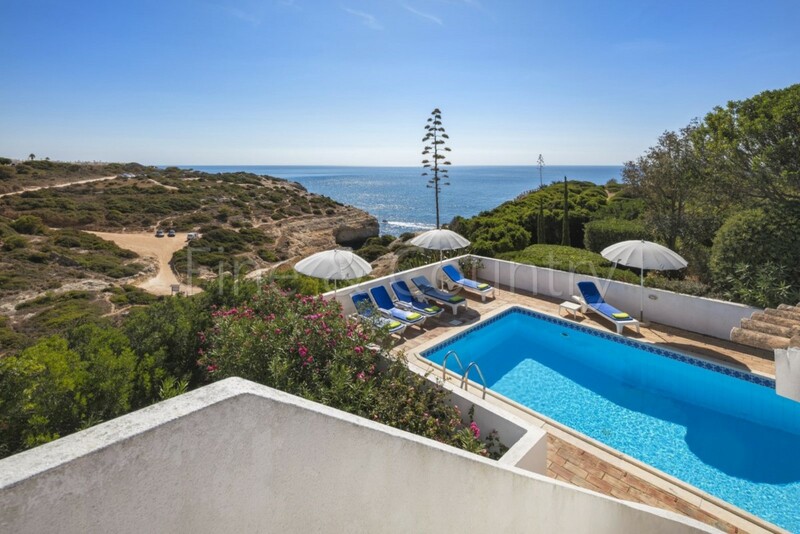 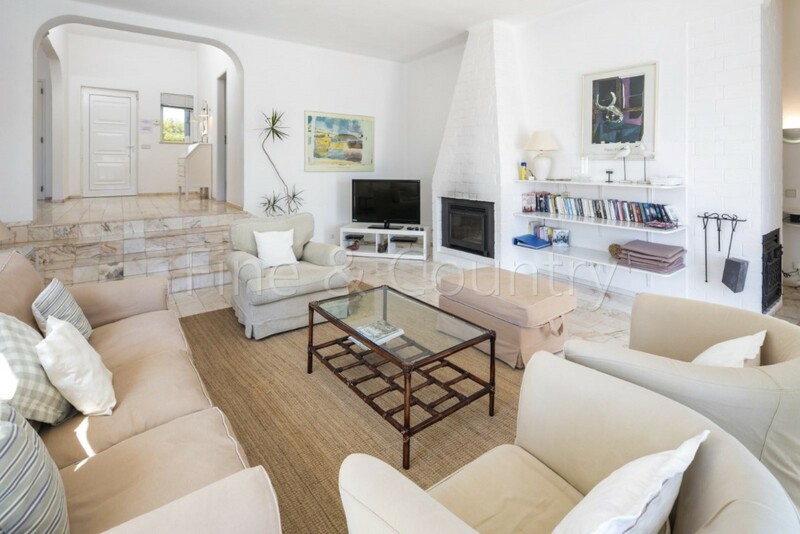 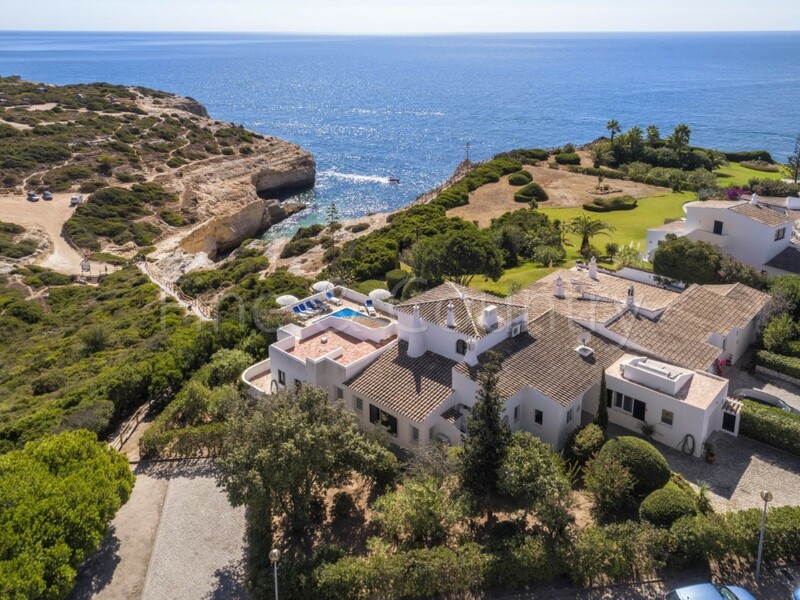 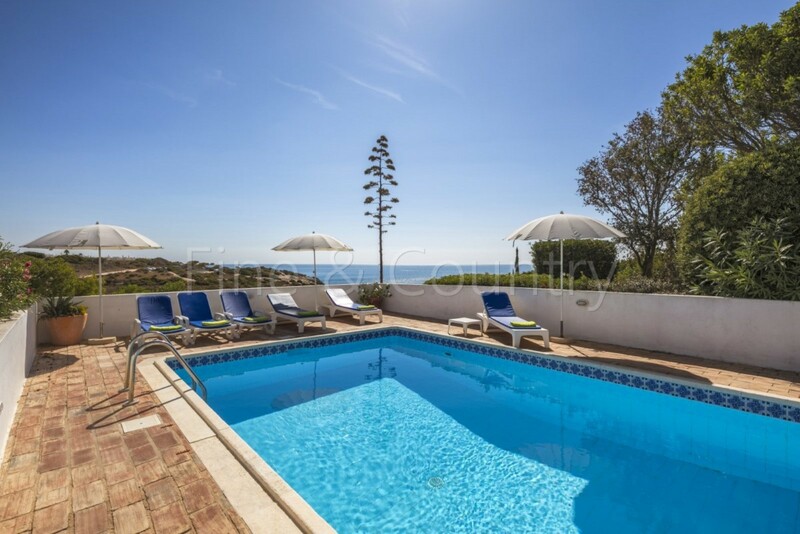 This 3-bedroom semi-detached villa with heated pool and 205 m2 built area is set on a 721 m2 plot right on top the cliffs of Carvalho Beach and offers spectacular sea views. 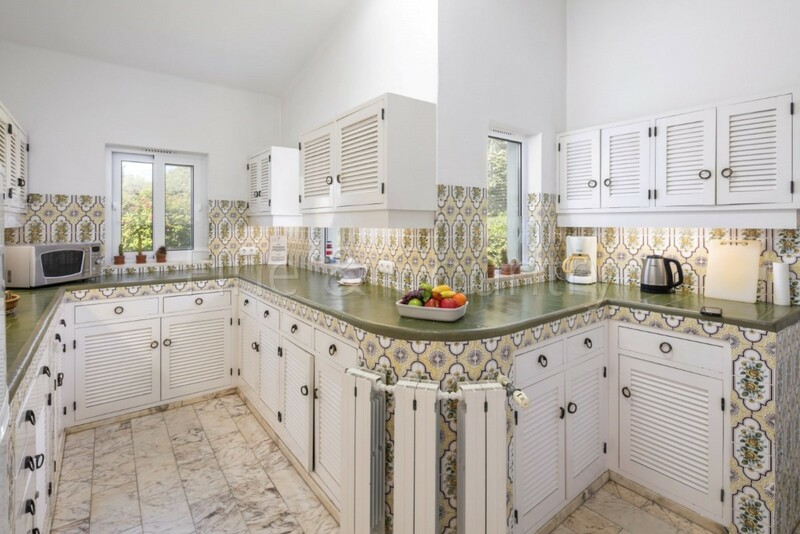 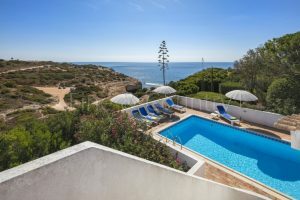 It´s located in the prestigious villa and apartment resort Clube Atlântico, approximately 4,5 km east of Carvoeiro village center and close to several other beaches, bars and restaurants. 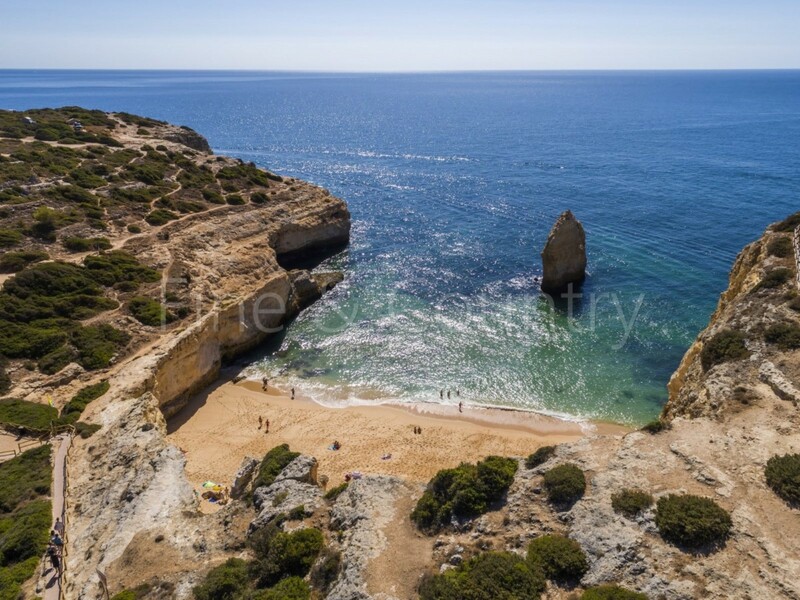 Faro airport can be reached within 45 minutes by car. 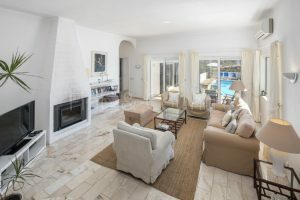 The entrance hall of this single-storey cliff-top villa leads to the utility and into the light and airy lounge and dining area with 2 fireplaces where patio doors flow onto covered and uncovered terraces and the heated pool area offering an extraordinary panoramic view over the sea. 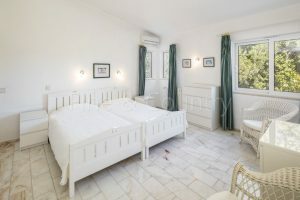 The villa comprises of 3 bedrooms altogether, one of which – the master bedroom – is en-suite and with direct access to the pool area. 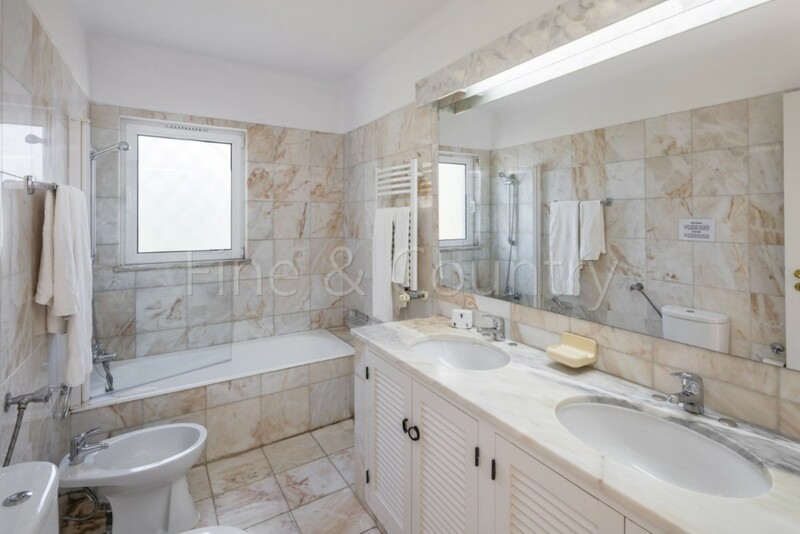 The other two bedrooms share a family bathroom. 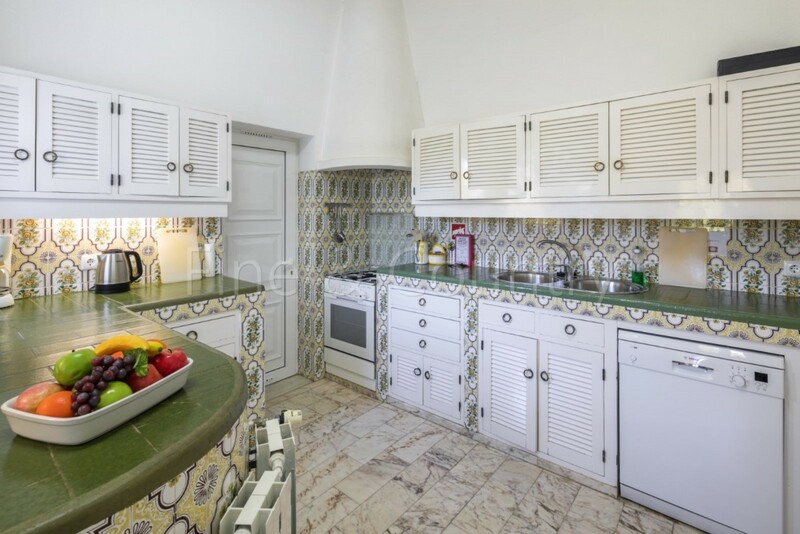 Off the fully-fitted kitchen there is access into a small courtyard/ laundry drying space. 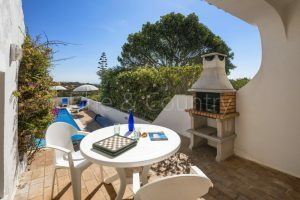 On the outside, an external staircase leads up to the roof terrace and to an annexe used as a study/ office with log burning fire. 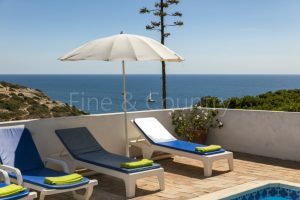 The pool terrace hosts the BBQ corner with the outside dining area and has plenty of space for sun loungers. 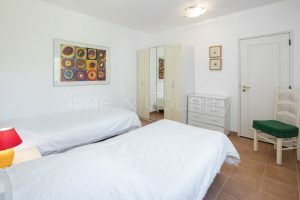 It´s surrounded by a nicely landscaped garden with lawn areas. 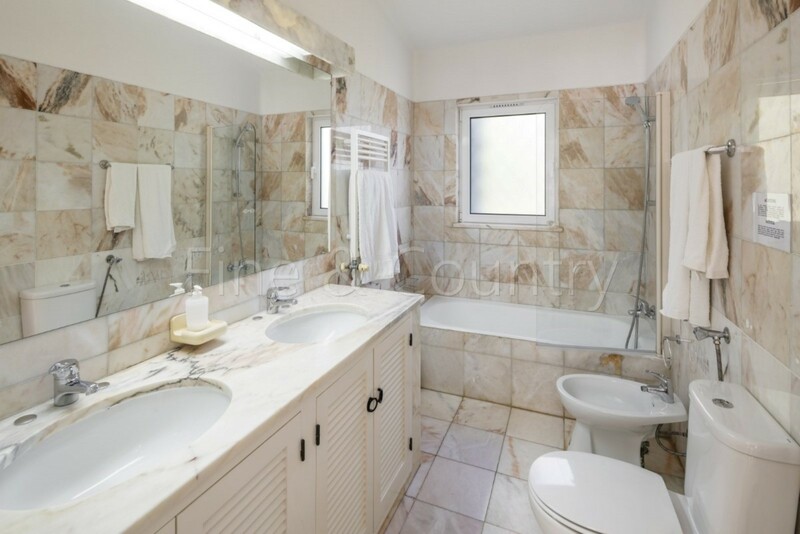 A great opportunity for investment in an outstanding location. Further features: New double-glazed white PVC-windows with ventilation + fly screens + manual brown aluminium/ wooden shutters, single-glazed brown alu-framed windows annexe 1st floor, fully air conditioned, gas central heating (radiators/ mains gas) in bedrooms + bathrooms, electric radiators lounge/ dining, heated towel rails in the bathrooms, 3 x log burning fire (2 x lounge + 1 x annexe 1st floor), gas boiler for hot water, gas hob, marble floor tiles throughout/ ceramic floor tiles 3rd bedroom, fitted wardrobes in 2 original bedrooms, automatic irrigation, outside illumination, heated (gas) private chlorine pool + manual cover + outdoor shower room/ WC, covered + uncovered terraces, built-in BBQ, small cobble-stoned driveway, outside parking, parking just in front, ex-garage (manual door/ now partly storage/ converted 3rd bedroom), annexe/ office room 1st floor, satellite-/ cable-TV + WIFI + telephone, mains water, mains sewage, alarm system, safe, new entrance door (thermal insulated), fully walled and fenced, manual gate, walking-distance to the beach, tennis courts in the development.